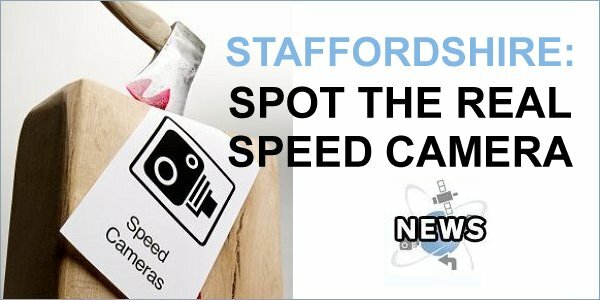 This Is Staffordshire has reported that only half of Staffordshire's 262 fixed speed cameras are ever in use and only 29 are active at any one time. The cost of maintaining the old wet-film cameras is blamed for the switch off. The 29 active cameras are rotated around the county, helping to prevent drivers knowing which ones are working and which are not. Staffordshire County Council has cut its contribution to the Staffordshire Safer Roads Partnership, who handle speed camera operations in the area, from �1.3 million per year to �368,000. The partnership said it may switch the cameras back on if the number of accidents increase. This is nothing new really, I was under the impression that nearly all SCP's did this anyway? It only changed with the digital innards being deployed. This taken off the local BBC news site. Its a road I travel quite a lot so if I see any vans which it looks like I will i'll report them.